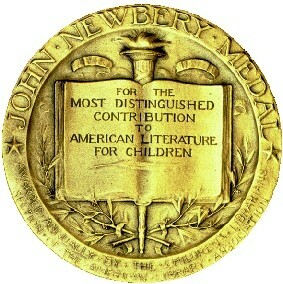 The Newbery Approaches. . .
January 22, 2012 January 22, 2012 ~ N.
Sorry, but this is not a regular post on Girl Knows Books. I apologize. Instead, this is an aimless think-aloud on something that has been on my mind a lot today–who will win the Newbery Medal and Honors? 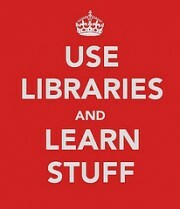 (And the Caldecott, of course.) The results are due to be announced January 23, a.k.a. tomorrow, and I am very curious. I’ve recently been looking at several blogs and websites, just to see what everyone else thinks will happen, because I have no idea. Frankly, I don’t know if I’ve really been reading a lot of books that were published in the last year, so I can’t offer a lot of suggestions. There is one, though, that I have heard mentioned a couple times: Okay For Now, by Gary D. Schmidt. This name may sound familiar to you because I published a post a while ago on one of his other books that I enjoyed. I would definitely be pleased if this book won the Medal, because I’ve always found Schmidt’s writing to be really good and very captivating, and it seems like it’s about time he got the gold. Plus, I’ve actually read this one, and can vouch for it. Another book that seems to be a high competitor for the Newbery is Breadcrumbs, written by Anne Ursu. I’ve been hearing a lot of good things about this book, and just got it from the library. I cannot wait to read it, having read something else by the author and definitely liking it. Yet another that keeps cropping up is A Monster Calls, by Patrick Ness. I can’t offer a lot of info on this one, except that I’m intrigued. It looks different, and it looks good. So, now that I’ve had my say, what do you think? What are you rooting for? ‹ PreviousWhat Do You Say, Dear? YES!!!! That was the best book I’ve read in a looooong time. Okay for Now I mean. It might be my book club book though, so I’m not going to say much about it. ❤ Times a million though!